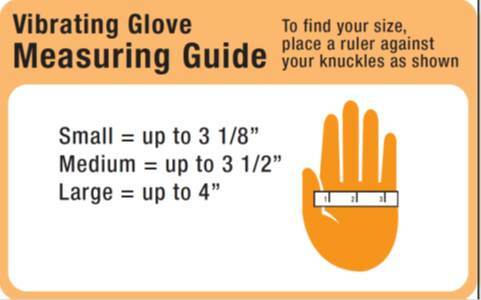 Vibrating Gloves may provide soothing relief for those with arthritis or other chronic conditions that result in pain in your fingers or hands. Simply slip the gloves on and push a button. 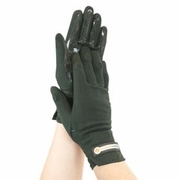 Small vibrating motors embedded in the gloves begin to work immediately, providing a subtle, yet effective, method of increasing blood circulation and warming aching joints. Further, the vibrations may act as a sensory distraction, disrupting chronic pain signals traveling to your brain and ultimately masking the pain. Gloves are made of a cotton material for greater comfort.